At Just Breathe Urban Skin Bar we use advanced Lira Clinical formulations. At Just Breathe Urban Skin Bar we use advanced Lira Clinical formulations for resurfacing skin using healing minerals, botanical extracts and plant stem cells for cellular repair. Before commencement of any program a thorough skin analysis, history and consultation is performed. This enables us to select an appropriate skin care program for you. 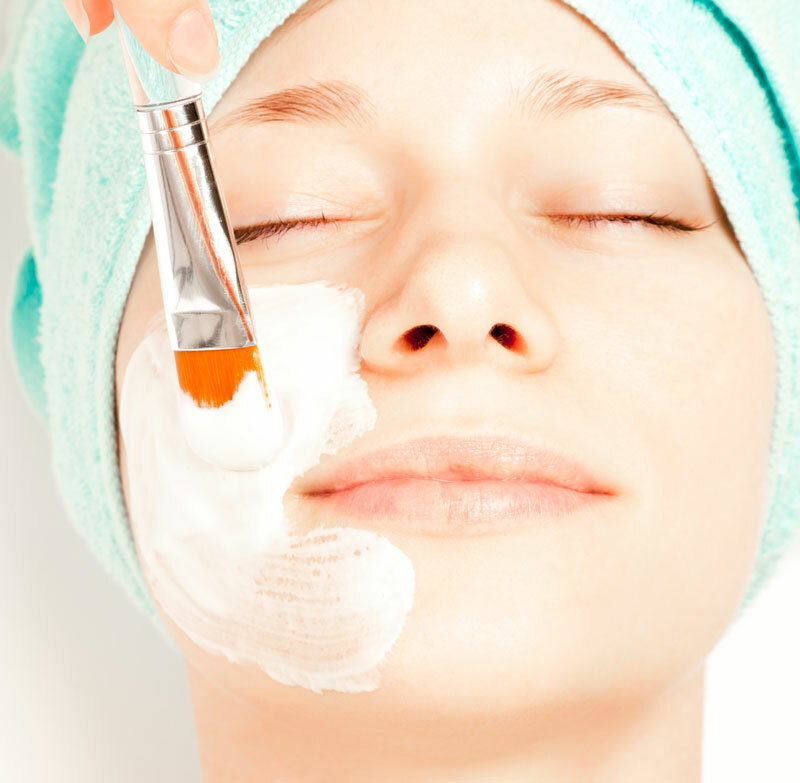 Our skin care programs are individually tailored for maximum results. This enables us to treat accordingly for your skin condition at the time of each treatment. Restores youthful glowing skin, minimizes fine lines and wrinkles, repairs damaged skin cells to restore skin function and prevent further signs of aging. Our acne program is designed to correct, balance and lighten the skin. Carefully selected ingredients are designed to kill bacteria, sooth the skin and reduce inflamed lesions. Lighten and brighten the skin using with a range of skin brighteners, plant stem cells for cell protection and repair, melanin suppressants and tyrosinase inhibitors. Treatments in this program can target pigmentation, Melasma and sun damaged skin revealing glowing, youthful skin. Treatments in this program are filled with plants stem cells, peptides and vitamins to strengthen the skins immunity and reduce inflammation in the skin. The repairing of damaged cells helps to rebuild the skins barrier to function normally and rejuvenate the skin. Treatments in this program range from $129 – $220. Tighten, firms, brightens and hydrates to refresh all skin types. Improves skins health, reduces the appearance of fine lines and wrinkles and calms rosacea symptoms. Contains an elite blend of Vitamin C, mandelic/salicylic acid, plant stems cells and botanicals. It is a perfect introductory peel and maintenance treatment. Renew and refresh dull skin with this universal anti aging treatment. Packed with antioxidants, plant stem cells, peptides, retinol and skin healing vitamins this treatment leaves skin glowing and revitalised. Addresses a variety of skin conditions such as acne, uneven skin tone, and aging skin. Correct, clear and brighten skin with this treatment. This treatment hydrates, evens skin tone and corrects photo damage, pigmentation and over exposed skin. Perfect for all skin types it contains a blend of five different fruit acids, plant stem cells and a bold botanical formulation. This cutting edge retinol solution heals, restores and reveals beautiful skin. it has an innovative formulation infused with gold and silver minerals, plant stem cells and advanced ingredients. it can be use as an anti aging treatment or a secondary treatment to enhance other treatments. This natural herbal exfoliator awakens skin with a combination of unique ingredients. This distinctive product tightens and diminishes fine lines while reducing the appearance of pigmentation and acne scars. Our microdermabrasion uses diamond tip technology and gentle suction to exfoliate away dry dull and uneven skin while stimulating collagen production to restore elasticity and radiance to the skin. This treatment is perfect for a maintenance treatment or more advanced treatments using a combination of cutting edge skin care ingredients. It can also be incorporated into some peel treatments. All of our skin treatments incorporate Sonophoresis. Sonophoresis increases the absorption of active ingredients into the epidermis and dermis of this skin. It uses ultra sound waves to stimulate micro vibrations in the skin which increases the energy of the molecules in the active ingredients resulting in greater results from the skin care. Sonophoresis can be incorporated into all of our peel, microdermabrasion and facial treatments.